Boyden Cleaning Services are a specialist commercial window cleaning company with very high standards of work, commitment to Health & Safety, and communication skills with the client. 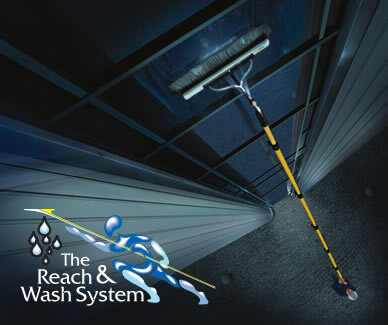 Utilising the latest reach and wash system by pumping water through telescopic poles, we are able to access and clean windows to heights in excess of 65 feet (5-6 floors). Not only does this remove the need for expensive access methods such as scaffolding or scissor risers, it also removes completely any health and safety risks that can sometimes restrict access, and is extremely cost effective.